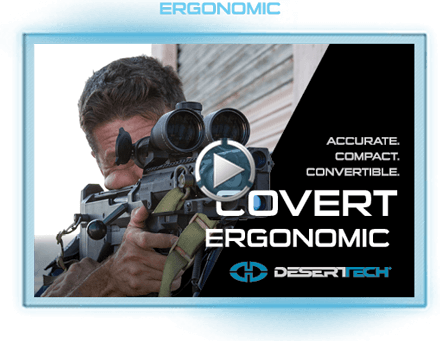 26-inch Covert is a long range tool capable of 1000-yard groupings while remaining nimble enough to convert to .338 Lapua Magnum punch for civilian and servicemen. 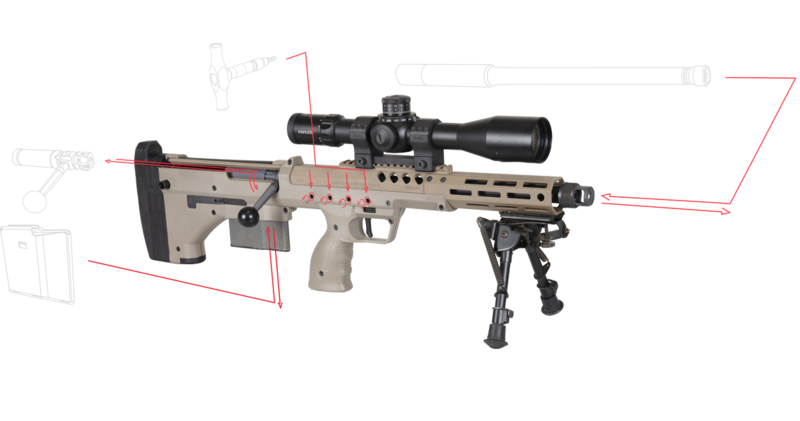 It is the most compact sniper rifle on the planet. 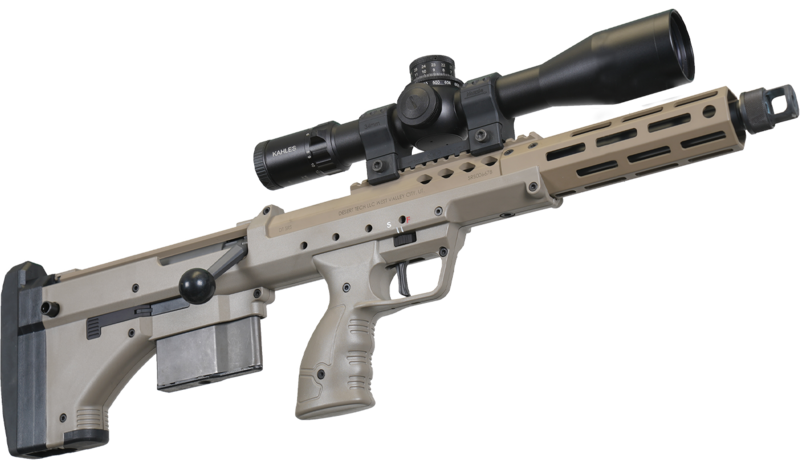 The SRS-A2 Covert is the shortest sniper rifle in the world, with an overall length of just 27 inches. 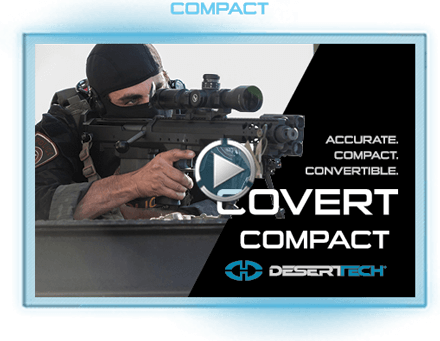 At over a foot shorter than traditional sniper rifles, the Covert adds a new level of concealability in a full-power sniper rifle the size of a submachining gun. 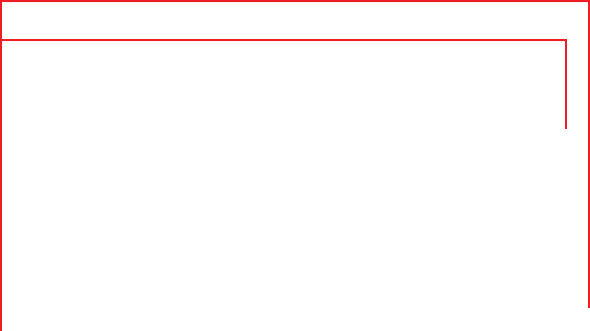 The SRS-A2 Covert is 36% more accurate in testing than the SRSA1 because of its NEW patented barrel mount that more uniformly clamps onto the barrel and reduces peak stress points by 30%. The SRS-A2 also has a NEW “field-rugged” MATCH trigger. 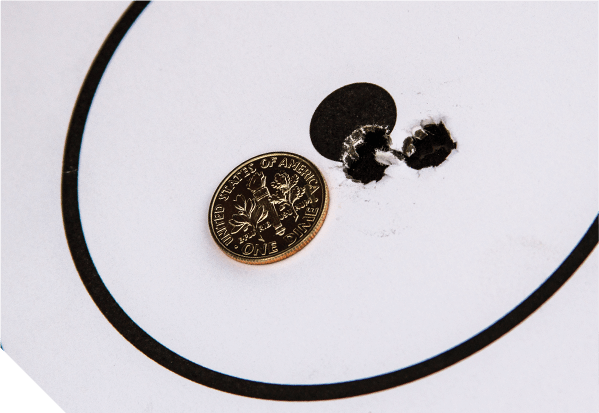 The SRS-A2 Covert uses our patented quick caliber conversion feature, with the ability to change calibers in sixty seconds. 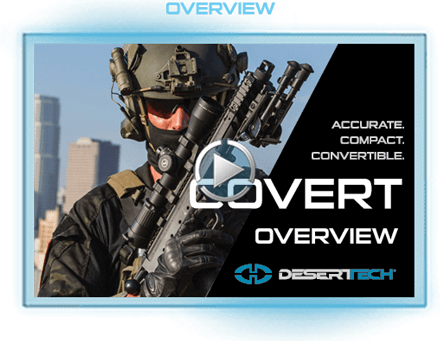 The Covert also accepts full-length SRS-A2 conversion kits in all calibers, providing snipers full-size rifle flexibility.